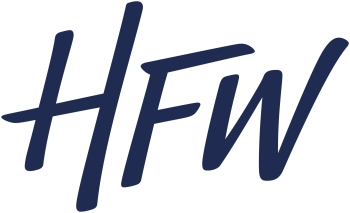 In the second of our HFW Insights: Navigating shareholders agreements series, in which we distil common corporate and transactional issues into bite-sized insight, we examine the options available to overcome deadlocks – a stressful period that is disruptive to the business and, invariably, detrimental to shareholder value. One of the biggest challenges for shareholders in any joint venture is decision making. The inability to reach a consensus on key matters will result in a deadlock, which may bring the company's business to a halt or standstill. The corresponding issue in shareholders agreements lies in breaking any deadlock between the shareholders. Deadlocks do not only occur in 50:50 joint ventures. Companies where shareholders have disproportionate shareholdings or board seats often stipulate in their shareholders agreements where a super-majority or unanimous consent is required at shareholder and/or board levels, as a form of minority protection. Failure to reach an agreement on such reserved matters constitutes a deadlock. How can deadlocks be resolved? A well-considered shareholders agreement will contain deadlock mechanisms (otherwise known as deadlock provisions or deadlock resolution clauses) to facilitate a quick resolution. The first step is an 'escalation mechanism' whereby the deadlock is escalated to the designated senior management of each shareholder for consultative resolution within a set timeframe. This aims to be sufficient to achieve deadlock resolution. The second step provides for a mechanism to be used when a deadlock cannot be amicably resolved by the consultative resolution of Part 1. What are the commonly used deadlock mechanisms and what do they entail? 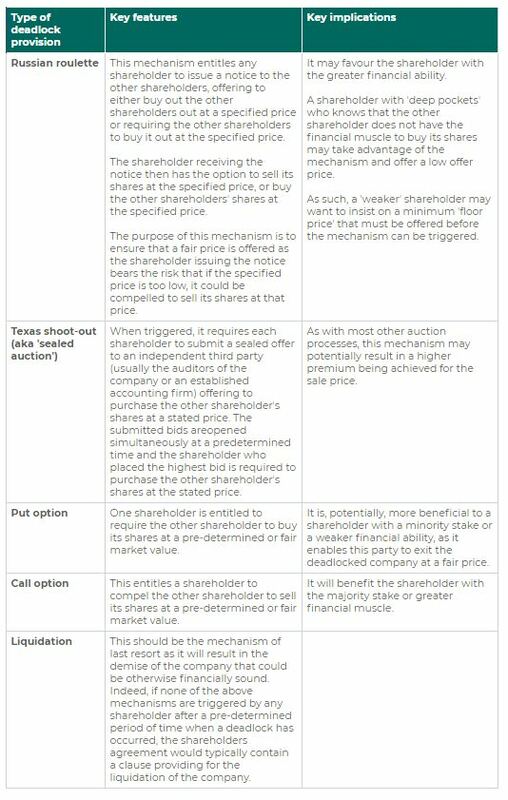 Shareholders may even get creative and come up with a hybrid mechanism or 'modify' a mechanism that they agree best manages any future impasse between them.